Archeologists measure the history of high Egyptian culture from about 5000 years ago, the time of the unification of the country by Menes, founder of what later became known as the First Dynasty. Little remains from before that time - the conventional archeological view is of a simple farming and herding society. Clay pottery and crude stone tools are preserved, little different from the other Neolithic people of their time. (Top) Philae by Ernst Weidenbach. 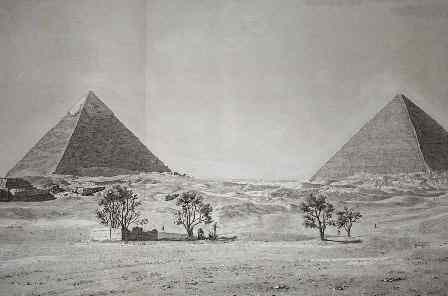 (Center) Two pyramids in Giza, from "la Description de l'Egypte"
(Below) Temple of Nekht, from Elysian Fields. The ancient Egyptians called the pre-dynastic era "Zep Tepi" (translated as the "First Time") and claimed a long rule of gods (Neters) and then of demi-gods (Shemsu Hor - the Companions of Horus) existed for 35 thousand years. This date curiously coincides roughly with the advent of Homo Sapiens - Modern man as a species, and with the end of the "Dreamtime" of Australian Aborigine oral history. It is convenient to speak of periods in Egyptian history by popular names. The two most important periods in Egyptology are often called the Old Kingdom (third to sixth dynasties, around 2700 - 2200 BC), the time of the building of the pyramids, and the New Kingdom (17th to 21th dynasties, about 1600 to 1100 BC) the time of the superb artworks of Seti I's reign, the strange Akhenaton who, for twenty years pulled Egyptian religion and art into one of the most unusual side roads of history, Ramses (Ramesses) II who seemingly had carved (of himself) half the statues in Egypt, and King Tut, famous for his golden mask and the other treasures found in his tomb. While the story of ancient Egypt rose and fell repeatedly for three thousand years, it was in those two periods that the culture produced most of the creations we marvel at today. The names of the artists who created the masterpieces of Egypt, with a few exceptions, are not known. It was the European artists of the 19th century who copied these paintings and made compositions of the ruins as if time were transparent. 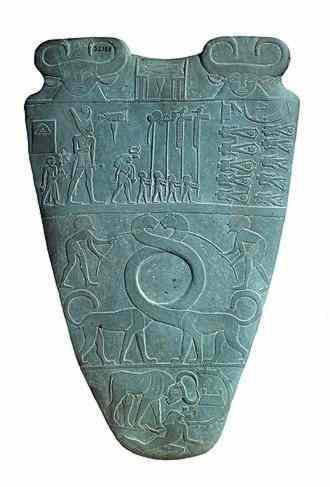 The Narmer Palette is a two sided siltstone plaque, about two feet high. 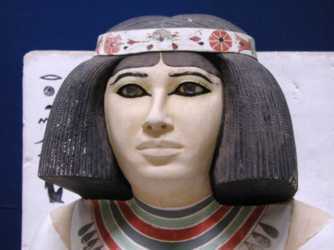 It is one of the oldest artworks of Egypt, yet the style that was to continue for 3000 years was already established. It is thought to be a mixing tray, but there is no wear showing that it was used for that purpose. 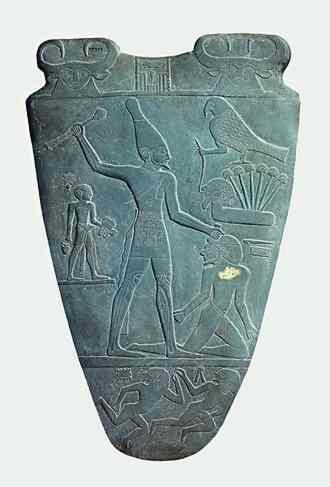 The postures of some of the human figures on the plaque can also be read as hieroglyphs. The subject appears to be the battle uniting Upper Egypt and Lower Egypt. The two entwined creatures centered on the left side are serpopards, a supposed mythical animal. However, the native people of the Congo believe a similar long-necked, large, dangerous creature they call Mokele-mbembe, unknown to science, lives in the swamps there. At this early date were Mokele-mbembe found in the Nile? Pharaoh Snefreu was the builder of three huge pyramids south of modern Cairo. 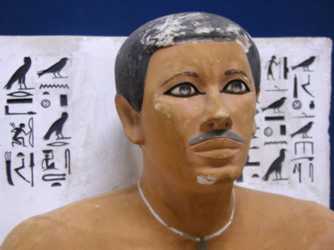 His oldest son was Prince Rahotep, who everyone expected to become Pharaoh eventually. Instead he died young. His half-brother, Cheops, became pharaoh in his place. Imagine, it could have been the Great Pyramid of Rahotep. 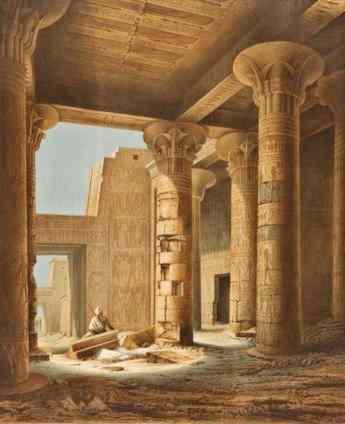 He had an important position as High Priest of Ra at Heliopolis, where he had access, no doubt, to the ancient books. He was known as the Greatest of Seers. Whatever arcane knowledge he gained, he succeeded in preserving his statue, and that of his wife, Nofret, to the present day. They were found in 1871 by Auguste Mariette near Rahotep's father's first pyramid at Meidum. 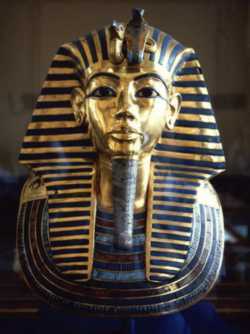 The Mask of Tutankhamen (L) was the inmost covering of the linen wrapped body of the Pharaoh. Around this was a coffin of solid gold (R), as beautifully created as the famous mask. as if it were a giant Orgone Accumulator. 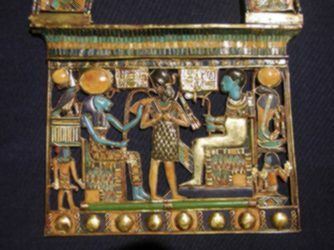 Two gold pendants found with Tutankhamen. 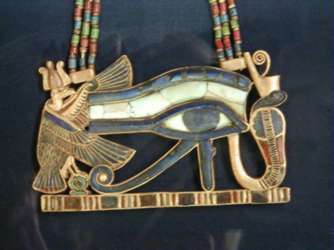 (L) The Udjat is derived from the markings around the eye of a falcon, symbol of Horus. 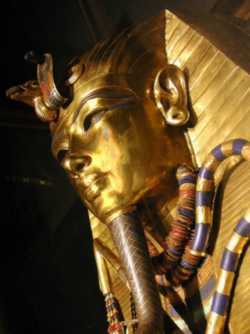 Horus' left eye is the moon, his right eye is the sun (Ra). (R) Tutankhamen stands before Sekhet and Osiris. Ba, found on the mummy of Tutankhamun. 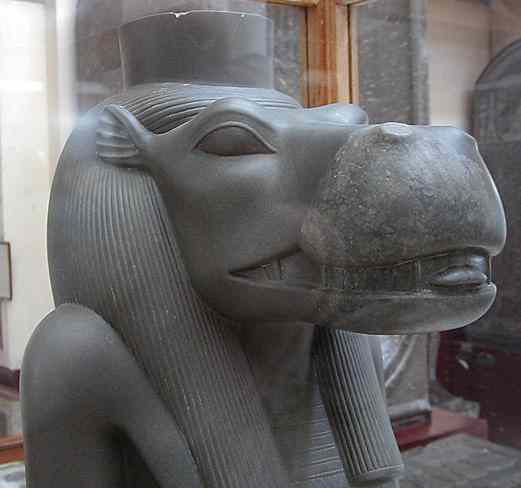 26th Dynasty -- Cairo Museum. Even as Egypt declined she produced extraordinary art. This life size statue of hard basalt stone was carved around 600 BC. 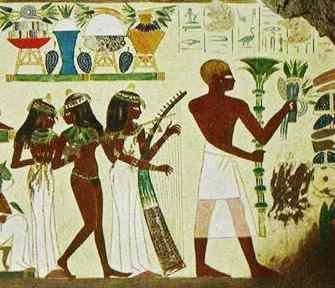 At that time the New Kingdom, the last great flowering of Egyptian culture, was 500 years in the past. Yet Socrates would not be born in Greece for another 100 years.